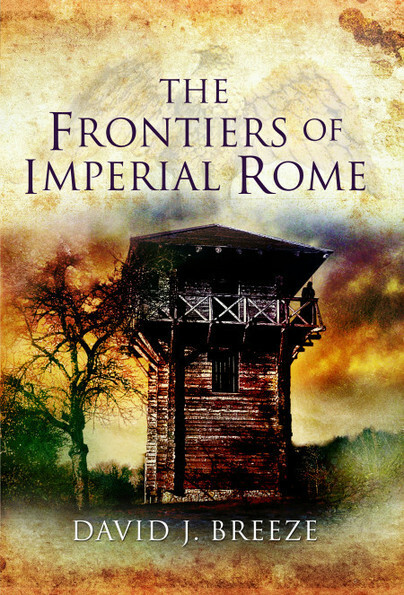 You'll be £12.00 closer to your next £10.00 credit when you purchase The Frontiers of Imperial Rome. What's this? At its height, the Roman Empire was the greatest empire yet seen with borders stretching from the rain-swept highlands of Scotland in the north to the sun-scorched Nubian desert in the south. But how were the vast and varied stretches of frontier defined and defended? Many of Rome's frontier defences have been the subject of detailed and ongoing study and scholarship. Three frontier zones are now UNESCO World Heritage sites (the Antonine Wall having recently been granted this status - the author led the bid), and there is growing interest in their study. This wide-ranging survey will describe the varying frontier systems, describing the extant remains, methods and materials of construction and highlighting the differences between various frontiers. Professor Breeze considers how the frontiers worked, discussing this in relation to the organisation and structure of the Roman army, and also their impact on civilian life along the empire's borders. He then reconsiders the question of whether the frontiers were the product of an overarching Empire-wide grand strategy, questioning Luttwak's seminal hypothesis. This is a detailed and wide-ranging study of the frontier systems of the Roman Empire by a leading expert. Intended for the general reader, it is sure also to be of great value for academics and students in this field. The appendixes will include a brief guide to visiting the sites today. A work of documentation of the first magnitude and a key work for our library. This is a fascinating subject, practically all new information on the greatest empire of all and how it controlled and policed its borders. Absolutely fascinating! A fascinating study of the interaction between strategic/operational policy, diplomacy and military doctrine in the enforcement of frontier control. Well worth reading. A most important book that fills a significant gap in the literature for a study of the Roman Empire. A huge achievement...we are fortunate indeed to have at last a full and authoritative survey of the frontiers of the Empire and their associated frontier works. Breeze's mastery of this complex subject is apparent throughout. This volume is an impressive achievement; it will serve as both an essential introduction to the subject and a stimulus to further debate. Provides a good general introduction. A must for anyone who wants to understand them in their mode of operation/action and meaning. This book is very comprehensive, accessible to both scholars and a more general readership. I highly recommend it. An authoritative survey, well supported by forty-eight illustrations and twenty-eight colour plates. No doubt some specialists will not agree with the author on particular points, but this is a masterly work of synthesis. Dr Breeze is a widely recognized expert on the Antonine and Hadrian's Wall; on both he has much to say, and one of the most valuable aspects of this book is that those famous structures are set in a wider context for contrast and comparison. This book deserves the widest possible readership. It represents the broadest treatment of Roman frontier systems to have been published in recent years. It is important not only for the frontiers themselves, but also for topics relating to the army, imperial administration and diplomatic relations. This book is without question one of the finest I have read with the Pen and Sword imprint, from the quality of the paper to the quality of the scholarship. It belongs in both the bookshelves of the frontier enthusiast, as well in the stacks of university libraries. Virtually every consideration of Roman frontier studies is given time and space in these pages, and the gamut of the empire is dealt with, from the earliest days under Augustus to the fragmenting of the empire centuries later, when suddenly many of those bristling, well-run forts and walls found themselves islands under siege. And the whole thing is extremely well-served by Pen & Sword Books, which has created a heavy, durably-made volume of slick, high-quality pages and lavish illustrations. The result of this book-crafting care and Breeze’s erudition is a near-perfect example of specialized military history done for a popular audience. Students of Roman history will certainly want a copy. Over several years our Fellow David Breeze has written or co-written a series of books on different Roman frontiers, from the Antonine Wall to the Black Sea. He has also devoted a great part of his career to the cause of creating the ‘Frontiers of the Roman Empire’ World Heritage Site, the first to reject modern national boundaries in favour of co-operation between all the nations on three continents whose heritage includes sections of Roman frontier. Who better then than David to bring together in one book (the first edition of which has already sold out; a reprint is under way) an account of the vast and very varied stretches of frontier defining the Roman Empire at different stages of its history. The Frontiers of Imperial Rome (ISBN: 9781848833278; Pen & Sword Military) is divided into three parts: the first discusses the sources for our knowledge — archaeological evidence from surviving structures but also a great body of written material in the form of inscriptions, regulations and treaties. Part 2 looks at the physical frontiers in more detail, the many different forms they take, from linear barriers of turf, brick, mud, timber or stone to discontinuous barriers of close-spaced towers, fortlets and enclosures. This section also examines the placing of the frontier within the landscape, the reasons for choosing specific sites and the incorporation of natural features — rivers, deserts, mountains, sea, forest and swamps — into the frontier system, and also the militarisation of the surrounding landscape, and the provision of supply lines and support services.! Part 3 asks important interpretative questions: what function did these frontiers serve, how did their use change over time, and were they successful? This is where archaeologists can fill many conference hours, pub sessions and published works debating whether frontiers are symbolic, military, part of the tax and customs bureaucracy, a means of preventing banditry and cattle raiding, defensive, offensive, a force for peace or for antagonism, parasitical on the people in whose midst they were built or a force for economic prosperity, a meeting place of cultures, a métissage (Salon’s editor has just learned this new word and has been looking for an opportunity to share it: it means the creative merging of cultures, languages and identities). David wisely avoids favouring any one explanation: they were all of these at different times and even simultaneously. The book includes fifteen new maps of Roman frontiers, drawn for David by Kurt Schaller of the University of Salzburg. David has very generously placed these maps on a website, along with many other maps from his earlier publications and downloadable PDFs of his multi-lingual World Heritage Site monographs. They are available for anyone who wishes to make use of them in lectures or for other non-commercial uses and, says David, ‘it is our intention to keep the maps up-to-date and upload many photographs in due course’. Breeze's book tackles the period from the acession of Augustus, the first Emperor in 27 BC, through to AD 406. It is accompanied by a useful series of maps showing the course of the border works. While Breeze observes that the nature of the evidence is such that a bias towards the European frontier in inevitable, the scope of his text impresses in its coverage of both time and space. Professor David Breeze prepared the successful bid for World Heritage Site status for the Antonine Wall and now leads the team implementing its management He was formerly Chief Inspector of Ancient Monuments for Scotland. He has written books on both the Antonine Wall and Hadrian's Wall as well as on Roman Scotland and the Roman army. David Breeze is an honorary professor at the universities of Durham, Edinburgh and Newcastle, and is chairman of the International Congress of Roman Frontier Studies. He lives in Edinburgh.